Summary: Deposit activity was strong for community banks in 2017. But, not everything was rosy. What community banks can do to stay competitive. Do you work long days? If so, you should know several studies find working less, but more effectively, can actually help you achieve more. In fact, working too much may actually be stunting achievement. High achievers like Teddy Roosevelt, Charles Darwin and Ernest Hemingway, among others, only worked a few hours a day. As you tell your boss or the board that you are going to work from 8am to 10am from now on, there are a few things to remember to boost productivity: focus, don't multitask, take good breaks (no social media during breaks) and nap. In banking, the latest FDIC data shows community banks have been working hard too. Those with assets <$10B saw a 6.4% overall merger-adjusted deposit growth rate in 2017 vs. 4.9% among non-community banks. This boost among community banks represents a reversal from long-term trends, where larger banks have typically dominated the industry. Perhaps most surprising is the fact that, for the 3rd year in a row, community banks saw higher deposit growth in metro areas than non-community banks. In 2017, deposit growth for community banks was 2.5% higher than that experienced by large peers. Despite that, however, non-community banks still fare better over the longer term, reporting a 5Y annual increase in deposits that is 0.7% higher than community banks. There are some distinct differences in deposit activity between community banks and larger peers, particularly when activity is broken down based on geographic area. The Office of Management and Budget (OMB) defines "micropolitan" areas as those with more than 10k people, but less than 50k people. In these areas at the end of 2017, community banks experienced a 5Y annual increase in deposits of 3.0% vs. non-community banks at 1.5%. As would be expected, community banks also fare best over the long-term in rural micro areas, with a 3.0% increase over a 5Y period vs. a 1.0% increase for non-community banks. On the other hand, the long-term growth rate in micro-metropolitan areas for community banks was 5.5% vs. 6.2% for non-community banks. Even though community banks have been experiencing higher deposit activity in metropolitan areas, it still isn't enough to match the overall growth experienced by non-community banks. As a result, community banks have actually seen the overall share of deposits in metropolitan areas decline. Community banks have less than 12% of deposits in those areas compared to holding 71% in rural and 53% in micropolitan areas. Given this, while community banks shouldn't abandon efforts to attract new customers and increase deposit activity in major cities, it is also crucial not to let up on efforts to attract new customers and better serve existing ones within the communities that account for your greatest share of business. To stay in front of all of this, try to keep innovating, and where possible, seek out ongoing efficiencies. 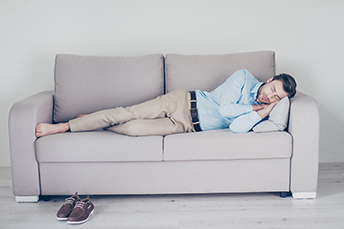 Most importantly, stay vigilant in meeting your customers' needs - even if it means taking a little nap now and again to recharge your creative juices. This year marks the first time publicly traded companies report the ratio of median CEO to employee pay. Bank of America was the first large bank to do so, saying its CEO (at $23mm) earned 250x more than the median bank employee. 1) Salem Five Cents Savings Bank ($4.7B, MA) will acquire personal and commercial insurance agency Cape Ann Insurance (MA) for an undisclosed sum. 2) The Evansville Teachers Federal Credit Union ($1.5B, IN) will acquire American Founders Bank ($113mm, KY) for an undisclosed sum. 3) Heritage Bank ($4.1B, WA) will acquire Premier Community Bank ($401mm, OR) for about $88.6mm in stock (100%) or about 2.22x tangible book. 4) Civista Bank ($1.5B, OH) will acquire United Community Bank ($543mm, IN) for about $114.4mm in cash (100%) or about 1.61x tangible book. A federal judge has ruled cryptocurrencies like Bitcoin are commodities. This puts them under regulation by the CFTC and the judge also ruled the regulator has "broad leeway" to apply federal regulations. A survey by the American Institute of CPAs (AICPA) finds 50% of executives expect the tax law change will have a positive impact on their earnings this year vs. 36% who said it would not. The global group that sets worldwide banking regulations, the Bank for International Settlements (BIS), said digital currencies (crypto currencies) could pose a risk to financial stability. The BIS said risk could increase during periods of stress if the general public shifts to such currencies, which could in turn make commercial bank deposit funding less stable and add stress to bank business models.